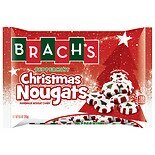 Shop Brach's Christmas Nougats Peppermint (9.5 oz. )9.5 oz. 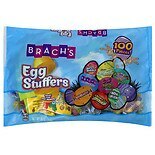 Shop Brach's Classic Jelly Bird Eggs (33 oz. )33 oz. Make sure a satisfying sweet treat is always within reach by picking up a bag or two of Brach's Candy. 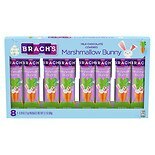 Available in a variety of flavors and styles here at Walgreens, Brach's Candy offers mouth-watering flavors, whether you're a chocolate lover or a fan of all things fruity. 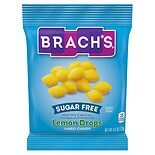 Convenient bags of Brach's Candy mean that you can enjoy your favorite snack anytime, whether you have them in your pantry, desk drawer, or handbag for a tasty and indulgent treat. 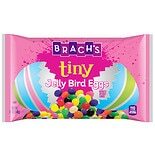 A variety of Brach's Candy is available including several chocolate offerings, blending chocolate with other enticing flavors for a delicious treat. Milk and dark chocolate lovers will rejoice when they try Brach's Candy that combines these two types of chocolate into one decadent bag of candy. Enjoy the many flavors in this variety pack, which includes roasted nuts, fruits, and sweet cremes blended with both milk and dark chocolate. Every bite will be surprisingly delightful with so many flavors available. Brach's Candy also blends chocolate with nuts, a favorite combination among many. These 100% milk chocolate treats are made with roasted almonds, allowing you to enjoy that always satisfying sweet and salty combination that will leave your taste buds tingling. Chocolate isn't all that Brach's Candy has to offer. Both hard and chewy candies come in many non-chocolate flavors, offering you quite a selection from which to choose. Roasted peanuts are covered in a sweet and crunchy toffee and then covered in a deliciously sweet maple coating. This unique combination of sweet and salty flavors is sure to satisfy your sweet tooth. 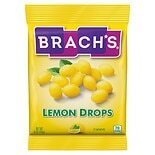 Brach's Candy also includes several flavored hard candies. Fans of sour flavors will enjoy classic lemon drops candy, which offer an enjoyable blend of tart and tangy flavors. Many varieties are low-calorie treats that are free of sugar. 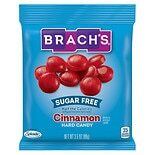 Additionally, you can choose Brach's Candy in a bold cinnamon flavor. This sugar-free candy can freshen your breath and add a kick to your step with its rich and inviting flavor.